The brand new Vinda Ultra Strong Series inherits the elegant and classy navy . 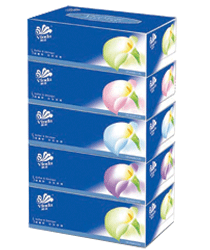 With the perfect harmony of long fiber and short fiber, paper quality is ultra-strengthened. 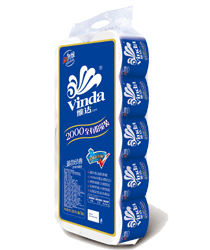 Vinda Ultra Strong Series houses three-ply softpack, three-ply box tissue and four-ply hanky. 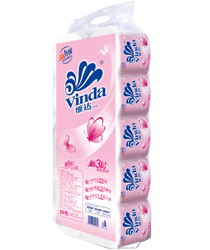 Featuring the durable and water-absorbance quality, Vinda Ultra Strong Series ensures you and your family the best quality of life.